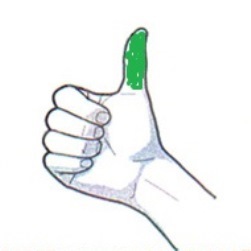 Zilis. Medium [16" tall x 36" wide]. Pale lavender flowers mid season. Hosta 'Bulletproof'. 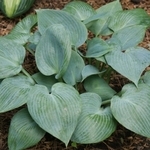 This tetraploid of hosta 'Halcyon' features super thick, leathery foliage. 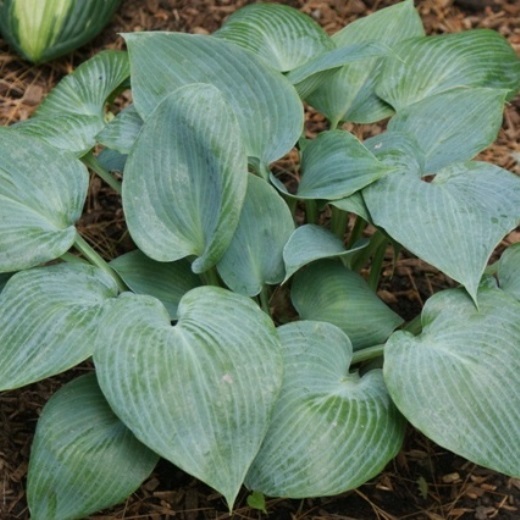 Slugs have little change penetrating the deep blue-green leaves of this newer hosta. Mature leaves measure 7" long by 5" wide, tips come to a nice point.